Cruising 2016: What's Your Pleasure? It's Cruise Wave Season again—that time of year when cruise deals and incentives are typically at their best—and never before have we seen so many choices for ways to cruise. From a burgeoning number of new river cruising vessels and ocean-going ships to itineraries that stretch to the far polar regions and everything in between, there's a boatload of ways (pun intended) to see the world from the water in 2016. Let's start with the smallest and slowest options, which are self-hire boats along with crewed hotel and charter barges that meander along the canals and small rivers of the world. Europe offers the most choices for this type of voyage, in places like the Netherlands, Germany, Italy, the Irish countryside, and the Burgundy and Champagne regions of France. Get a taste of what barging is about in our report from Hideaways President Mike Thiel on page 2. A step up in size from these intimate vessels is the river cruise vessel, which is gaining huge popularity around the world. Each year, new ships are being built and introduced to the world's most popular waterways, from the Danube and Rhine in Europe to the Yangtze River in China, the sacred Ganges of India, and major waterways in Africa, Brazil, and the U.S.
Then there are small ocean-going cruise ships—some fully rigged for sailing—that carry at most a few hundred guests, followed by mid-size premium/luxury cruise lines and then somewhat larger, exquisitely luxurious lines. Add in specialty cruise lines for soft adventure and expedition cruising, and you can see how overwhelming the choices can be. All the more reason to work with an expert agent at Hideaways Travel Services the next time you plan an all-important cruise. Of course, we at Hideaways have our favorite lines to recommend based on years of personal voyages and experiencing the best—and sometimes the less-than-best—of what is offered out there. With that insight in mind, here is a wrap-up of the many ways to cruise along with our vetted recommendations for each. We hope you'll draw inspiration from these informative tidbits, comparisons, and first-hand articles on various shipboard experiences. We've sampled the inland waterways of Europe a number of times, in about every way imaginable—self-hire barging, river cruising, and floating along on hotel and charter barges. I'd have to say our favorite is the latter. It's the best of all worlds for exploring Europe's inside passages—intimate but social, with the camaraderie of like-minded travelers and the local attractions up close and personal, and all while enjoying great cuisine and service. But hotel barges aren't just limited to Europe. Depending on where you draw the distinction between a hotel barge and a river cruiser, you can have a similar experience on the Amazon, Zambezi, Mekong, and Ganges rivers, and closer to home on North America's rivers and coastal waterways. But I digress. Let's talk about Gail's and my recent cruise of the Caledonian Canal through the Highlands of Scotland with European Waterways, a company that has been perfecting this elegant and relaxed form of touring for about 40 years. Everything about Europe's hotel barging experience is vintage: the vessels, the countryside you travel through, and the towns, castles, and vineyards you visit. Before being converted to cozy and luxurious passenger vessels, most canal barges spent their days as cargo vessels on the extensive waterways of Europe. Our barge, the Scottish Highlander, was built in 1931 and was a Dutch trader that carried grain and other commodities throughout the Netherlands. However, like Cinderella, the Scottish Highlander was beautifully transformed, in this case into a luxurious home for just eight people. Each couple enjoys its own comfortable and cozy cabin with a modern en-suite bathroom. Our barge home for the week had a combined bar, dining room, and lounge that, with a subdued tartan decor and rustic artwork, set the tone for an ideal Scottish sojourn. Some boats carry as few as 6 persons, while others accommodate up to 20 guests. Beyond booking by the cabin, you also can charter these barges for an intimate getaway with your friends or a multi-generational family reunion. The waterway we cruised was more historic than our boat. The Caledonian Canal was cut through the Scottish Highlands in the late 1800s, joining its deep lakes—Loch Oich, Loch Lochy, and the famous Loch Ness—to offer safe passage for commercial vessels from the North Sea to the Irish Sea and Atlantic while avoiding the tumultuous north cape. It never was a commercial success, but it is one hell of a beautiful passage through Scotland's most gorgeous scenery. Our voyage started in Inverness, the elegant capital of the Highlands that sits at the northeast end of the canal on the banks of the Ness River. We arrived a bit early and hungry, so we strolled into town for a bite to eat. It was a Sunday—most cruises run six nights—and only a few pubs were open, but we made a fortuitous find and tried our first local appetizers of pork belly, white bait (small fish fried whole), and yes, haggis balls, washed down with a nice local ale. Later that afternoon, after taking in some of the lovely Inverness sights, we met up with our fellow passengers at the designated riverfront hotel. Soon we were escorted to European Waterways' comfortable van and whisked to the boat, where we were greeted by our hostess, Sophie, with glasses of bubbly. We stayed at the dock that first night, so I enjoyed a late afternoon stroll to the sea lock at the very end of the canal, where it empties into the stark and windblown Moray and Beauly firths (Scottish for "bays"). It was cocktail hour when I returned, and Sophie had laid out a spread of appetizers. This was a relaxed time to settle in and get to know our traveling companions—just one other couple, the McDonalds, visiting Scotland to explore his family genealogy. The Scottish Highlander, like all European Waterways vessels, has an open-bar policy, and I was pleased to see it offered an extensive selection of top-shelf, single-malt Scotches—more than 20—plus a good selection of other top liquors. Since we were in Scotland, I vowed I would sample, dissect, and enjoy every brand of single-malt offered on board. Dining was a real treat. Most meals were from a set menu, since we were only a handful and the chef operated from a cramped galley. However, if you have special dietary requirements and notify the company in advance, those could certainly be accommodated. Happily, the menu focused on fresh Scottish produce and cuisine. This is a refreshing change from most ocean and even river cruisers where the culinary offerings don't necessarily reflect the cruising territory. I realize Scotland is not known for its high cuisine, but chef Sasha, who hails from Eastern Europe, turned out gourmet versions of Scottish specialties. Interestingly, Sasha also doubled as a deck hand and worked the lines each time we went through the locks. Dinners were relaxing four-course affairs served at a common table, which encouraged plenty of conversation with fellow travelers. The first course might be a soup, often a take on a Scottish favorite, or a delicious salad. The main course was also local—roast venison, Scottish salmon, or some other local seafood. Sasha, shy as she was, always came out of the kitchen to explain the menu and its relevance to the local scene. Sophie introduced us to the evening's wine selections, always a well-chosen white and red. Desserts were scrumptious, and the surprise of the evening was a cheese-and-fruit course. Our first evening, the universal reaction at the table was, "Gosh, we're too full to do cheese." But after Sophie explained each of the several selections and we tasted them—all delicious local varieties—the cheese course became one of our favorites. Breakfast was informal and consisted of a small but nice buffet with fresh-squeezed juices, cereal, fruits, and yogurt, or Sasha would whip up almost anything you liked. For Gail, Scottish porridge with embellishments became a standard. I followed my daily whims, ordering a full Scottish breakfast with eggs and meaty back bacon or perhaps finnan haddie. Lunches were simple and delicious—creative salads, gourmet sandwiches, and often another local specialty like Scottish skink, a thick cream-and-potato-based chowder made with smoked haddock. Cruising on a hotel barge is a leisurely affair. For starters, the ships travel slowly, usually meandering along at between three and five miles per hour. That means you can keep up with them while doing a power walk along the ever-present towpaths. Or you can have the crew unload a bicycle and meet the ship at your next destination. Between the slow pace and the locks to be negotiated, barges seldom cover more than 75 to 100 miles during the entire week. But the regions they cruise are usually very historic and interesting, and you always cruise by day to enjoy the scenery. And did I mention beautiful? Cruising in Scotland was positively mystical, gliding along moody Loch Ness and looking out for Nessie all the while. The mountainsides and moors were ablaze in the yellows of gorse and broom, the valleys carpeted in bluebells, and the canal banks decked out in the pinks and lavenders of rhododendrons. One of the highlights of barging is negotiating locks. We passed through some 29 locks going up and down between the North Sea and the Atlantic. In spite of that number, you only rise and fall about a hundred feet total. Some of the locks are in "flights" of four, five, and more, like those in St. Augustus, a quaint if somewhat touristy little village. As the barge negotiates the locks, you can hop off and visit the shops or walk around town. Other locks are in the countryside, but you can always chat up the lockkeepers, all of whom are invariably friendly and interesting characters. Because everything you might want to see and do is not immediately along the banks of the canal, European Waterways provides a comfortable van and guide/chauffeur to take you on daily excursions. In the Highlands, Paul, a most knowledgeable fellow, took us to the ancient Urquhart Castle, brooding over Loch Ness and now turned into museums. For contrast, we visited Cawdor Castle, home of Shakespeare's Macbeth and still residence to the umpteenth generation of a Scottish baronial family. Paul even accompanied our small group to dinner one evening at a local restaurant—a night off for Sasha, and a fun way to gather insight from Paul about the local scene. Of course, we also visited a distillery to learn how Scotch is made and to sample the elixir. And, given Scotland's turbulent history and relationship with its English neighbors, we had to visit Culloden Moor, site of a famous battle between Bonnie Prince Charlie and English loyalists. It's quite an impressive battlefield museum, tells a good story, and is set in beautifully rugged countryside. I often measure the success of a vacation by answering the question, "Would you do it again?" In this case, the answer is an emphatic, "In a heartbeat!" That goes both for visiting Scotland—a beautiful, friendly destination where we left a lot undone—and for the barge cruising experience in any of the interesting destinations where it's offered. Ten years or so ago, river cruising was just a blip on the radar of the overall cruise scene. Today, it's become a driving force for new ship builds and is something of a phenomenon in overall expansion on the world's major waterways. The major players have been launching new river vessels like crazy for the past few years, including popular Viking River Cruises, which is introducing a modest six new Longships in 2016—compared to 12 to 18 in past years—for a grand total of 52 new ships (yes, 52!) launched in the past five years on the rivers of Europe, Russia, China, Cambodia/Vietnam, Myanmar, and Egypt. Though Viking unquestionably leads the way, other river cruise companies aren't skipping a beat when it comes to their growth. Luxury line AmaWaterways is adding another two ships in Europe this year, bringing its fleet size to 21 vessels, Tauck is launching two new Inspiration-class river cruisers for a total of nine ships, upscale Uniworld Boutique River Cruise Collection is expanding into India with its launch of the new Ganges Voyager II in January, and five-star Crystal Cruises is crossing over to river cruising in 2016 by relaunching the Mozart, a former Peter Deilmann vessel. In fact, expect to see more of Crystal on Europe's inland waterways as it rolls out four brand-new yacht-style river cruisers in 2017. Whew! With all these river cruise lines and ships jostling for position on the world's major rivers, it's inevitable that each will try to expand its reach and fill a new niche. For instance, where river cruising in the past has appealed mainly to more mature adults seeking culturally rich experiences, now there's a trend toward family-friendly river cruises with an eye more toward fun and action. Uniworld has scheduled a series of 2016 Family Adventures in Europe for multigenerational cruising with a twist. You and your kids and/or grandkids can take part in shore excursions that include a castle climb, a glassblowing and Venetian mask-making workshop, and a BMW factory tour. On board, kids can giggle their way through treasure hunts, pastry-making, and language classes that are anything but boring. And children ages 4 to 18 sail for 50-percent of the regular cruise-only fares—an added bonus! Value-conscious A-Rosa CruisesTHC also nicely accommodates families with its triple-occupancy staterooms, or you can really spread out in the new family cabins on the A-Rosa Flora that easily accommodate four. Best yet, all children between the ages of 2 and 15 sail free when accompanied by an adult. Many lines are hoping to attract a younger, more active clientele by introducing moderate pricing and fun on-board features, like Emerald Waterways' heated swimming pool with a retractable glass roof that transforms into a movie theater in the evening. AmaWaterways has partnered with active-travel company Backroads for 2016 to offer 20 invigorating cycling- and walking-themed cruises along the Danube, and Uniworld will keep you in shape with complimentary on-board yoga classes and TRX training. Then there are new destinations opening up for river cruising enthusiasts who have "been there, done that." Especially hot this year is India's Ganges River, with two luxury lines, Haimark and Uniworld, operating 56-passenger sister vessels—the Ganges Voyager and Ganges Voyager II respectively—in this exotic destination. Uniworld is offering a 13-day "India's Golden Triangle & the Sacred Ganges" itinerary that includes an eight-day cruise and five nights in Oberoi Hotels & Resorts properties in New Delhi, Agra, and Jaipur. Expect to see bustling villages and awe-inspiring temple complexes along the Ganges' riverbanks while traveling in spacious luxury. We offer you a wealth of river cruising articles online, written by Hideaways' staff and ambassadors who have happily floated along on the great rivers of the world. Here is a handful you can check out for inspiration. Pack light: Attire is country-club casual, so there's no need to dress formally for dinner, and cabins tend to be efficiently small except on the most luxurious of lines. Gauge shore excursions to your physical abilities: Some lines offer easy, moderate, and more strenuous levels of on-shore activities. Meet new friends: The intimacy of most river vessels means you'll rub shoulders with like-minded travelers, offering you the chance to socialize over cocktails and meals. Prepare to relax: Remember, river cruisers are floating hotels, not floating resorts, so don't expect casinos and Broadway entertainment—but do expect occasional on-board lecturers and special guests. A-Rosa offers cruises on a wide range of Europe's most popular rivers. 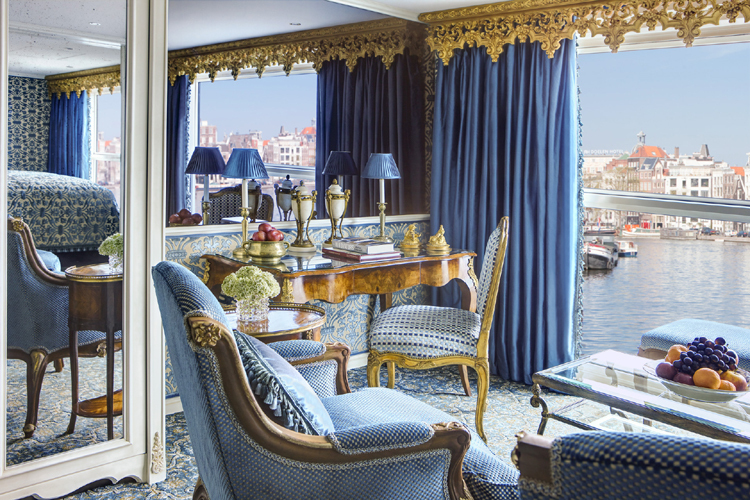 It does not bill itself as luxurious but rather as a value-oriented, all-inclusive premium river cruise option, and we'd agree with that assessment. For a more in-depth review of our cruise experience, go to Hideaways.com/CruiseArosa. Though ocean-going cruises may not be expanding at quite the explosive rate as river cruising, there are plenty of new ships out there to entice you. Oceania Cruises is unveiling its newest addition, the fully refurbished Sirena, on an April 2016 voyage from Barcelona. Sister ship to Regatta, Insignia, and Nautica, the 684-guest Sirena will have its own brand-new specialty restaurant, Tuscan Steak, plus upgraded interiors in staterooms and suites. Viking has expanded into ocean cruising with its brand-new, 930-guest Viking Star, which debuted in March 2015 and offers all-veranda staterooms, an elegant Explorers' Lounge, and on-board cooking classes reflecting the ship's destinations. Viking has four more brand-new ships in the works scheduled for delivery between 2016 and 2020. Not to be outdone, Silversea Cruises will welcome its next generation of luxurious, all-suite flagships with the 596-guest Silver Muse, to be delivered in spring of 2017. The ship's maiden voyage will be a roundtrip Mediterranean sailing from Monte Carlo. Regent Seven Seas Cruises is getting its first new ship in more than a decade, the ultra-luxurious, all-suite, 750-passenger Seven Seas Explorer, debuting in Monaco this summer. Regent acknowledges that the ship, contracted at $450 million from Italy's Fincantieri shipyard, is way over budget at this point, with an art collection that would make the most avid collector jealous and so much white Carrara marble—an especially pure variety without veining—that there's no more to be had in Italy for at least another year! Ready for something really different? Then revisit the romantic golden era of cruising on one of the fully rigged, yacht-like sailing vessels ofWindstar Cruises,Sea Cloud Cruises, and Star Clippers. These small ships cut a graceful line on the open sea, and their intimate size means you'll share adventures with fellow sailing enthusiasts. Hideaways member Jane Shipe raved about her Windstar cruise in the Caribbean aboard the 148-guest Wind Star. "Where do I begin? I loved everything about this cruise! Our cabin was lovely and spacious, with good storage. And the food was out of this world! On New Year's Eve, they emptied the hot tub and filled it with ice and dozens of bottles of champagne!" For cruising in French Polynesia, no one beats Paul Gauguin CruisesTHC. Its 332-guest m/s Paul Gauguin makes smooth sailing of the region's tranquil seas and shallow lagoons. Explore just a few of the reasons to sail Tahiti with this exquisite small-ship line on the next page. Five-star Crystal Cruises is our hands-down favorite for unparalleled luxury in large-ship ocean cruising. Hideaways members rave about the line's total pampering and exceptional level of service. This year, the line's Crystal Serenity and Crystal Symphony are joined by the diminutive new Crystal Esprit, a yacht-like ship carrying just 62 guests. Its shallow draft and sleek profile will allow the Crystal Esprit to slip into secluded coves and harbors that are off-limits to larger ships. We're seeing increased interest in world cruises that sail for a full six months. These have been wildly popular, often selling out within a few weeks of being announced. Lines like Silversea, Crystal, Regent, and Oceania are offering world cruises in 2016, and Oceania just added a fourth world cruise for 2017. Visiting the polar regions may not be everyone's cup of tea, but both the Arctic and Antarctica continue to draw adventurous souls, young and old. Take an expedition cruise in comfort and style with lines like Silversea, Oceania, and Hurtigruten—which specializes in the Norwegian Fjords, another popular option—then have soft adventures once you reach your destination: kayak near icebergs, visit penguin rookeries below the equator, photograph polar bears near the Arctic Circle. Quark Expeditions is one of our favorites for polar explorations, offering immersive experiences led by highly qualified experts. Hideaways member Julie Considine of Palm Beach Gardens, Florida, said this of her Quark adventure in Antarctica. "The trip was fantastic, and we find it hard to express to anyone the amazing sights we saw and the wonderful guides who were so present for us each and every day. Our experience with Quark was spectacular!" As Baby-boomers mature, demand for soft-adventure cruising also has increased, with popular destinations being Costa Rica, the Galapagos Islands, Hawaii, and Alaska. Un-Cruise AdventuresTHC is a leader in the sort of active, small-ship cruising that allows the young-at-heart to try things like sea kayaking and paddle-boarding, all at a pace that matches guests' comfort and fitness levels. Mike Thiel sailed Mexico's Sea of Cortés with Un-Cruise and had the time of his life swimming with gentle whale sharks. See his informative slide show at Hideaways.com/TraveltoCabo. No matter what part of the world beckons to you, trust Hideaways to offer suggestions for a ship or two that will fit perfectly with your cruising style and budget. Contact your expert Hideaways Cruise Specialist today at 800-843-4433, or email ts@hideaways.com. When it comes to hot new cruising destinations, Cuba tops the list. Lines like Oceania Cruises and Regent Seven Seas are poised to sail to Cuba as relations thaw between Cuba and the U.S. Currently, cruises leaving from the U.S. must fall under certain guidelines such as educational and people-to-people programs. When it comes to cruising the tranquil aquamarine waters of French Polynesia, no one does it better than Paul Gauguin CruisesTHC. The line's very name—from the famous French painter who was obsessed with Polynesia—embodies the spirit of this island group and its colorful, sensuous people. The 332-guest m/s Paul Gauguin is designed specifically to glide through the shallow seas of Polynesia's island groups, allowing her to travel to less-visited ports that are inaccessible to larger ships. If you're entertaining the idea of cruising in this stunningly beautiful part of the world, here are 5 reasons we think you should consider sailing with Paul Gauguin Cruises. 1. Size Matters: The m/s Paul Gauguin is small and intimate and offers amazing service. The ship's crew-to-guest ratio is 1:1.5, one of the highest of any luxury cruise ship, with personalized butler service available in suite/stateroom categories B and above. The ship's smaller size means crewmembers will learn your name quickly and will go out of their way to meet your special requests. Unique among the ship's crewmembers is its troupe of Tahitian hosts and entertainers, Les Gauguins (males) and Les Gauguines (females)—all supremely talented and beautiful—who teach local handicrafts, retell ancestral legends through dance, and lead guests in traditional Tahitian songs. Also, not having hoards of hungry guests to feed means the Paul Gauguin can serve amazingly fresh seafood and produce from local ports, as Hideaways member Susan Maurais related. "I have never had such quality produce," she said. "We own two restaurants, and I had never tasted fruit like this before—papaya so sweet and juicy, you just can't believe it!" 2. Longer Port Stays: You'll experience island life to its fullest with full days in most ports and overnight calls on Bora Bora and Moorea on most itineraries. For instance, Paul Gauguin's popular seven-night Tahiti & the Society Islands cruise lets you immerse yourself in the beauty of Moorea with an overnight stay, so you can lounge as long as you like near crystal-clear lagoons, take an off-road safari to the island's volcanic crater, or linger later on shore and sample the fresh local cuisine. You'll also have more time to enjoy the water toys—windsurfers, kayaks, and more—that the Paul Gauguin launches from her special watersports marina that brings you down to sea level. 3. Enrichment Programs: You're never too old to learn something new, and Paul Gauguin's on-board naturalists and special guest speakers will make sure you take home a wealth of knowledge about the region. You might rub shoulders with a marine biologist who lectures on the health of local coral reefs, or attend a fine-art workshop led by an accomplished painter (rest assured, impressionist Paul Gauguin will enter the conversation at some point), or even find yourself sailing with a self-taught winemaker who will present an informative wine tasting. Hideaways member Christy Eisman, her husband Paul, and their young son Cooper sailed aboard the Paul Gauguin together, and Christy recalls learning even while relaxing on one of the cruise line's private motus, or islets. "Someone gave a demonstration on coconuts," she said. "It lasted more than an hour and believe me, it was very interesting. Another time we were treated to a presentation on the vanilla bean by one of the local plantation owners—fascinating!" 4. Ambassadors of the Environment Youth Program: Developed by oceanographer and environmentalist Jean-Michel Cousteau's Ocean Futures Society, this groundbreaking program (available on select cruises) introduces your young cruisers ages 9-17 to the natural wonders of French Polynesia through interactive hands-on learning. Your kids might go night snorkeling, swimming with rays, or hiking in the rainforest, all while under the tutelage of expert on-board staff and naturalists. Some activities are designed for parents to join their children for shared learning experiences. 5. Exclusive Island Retreats: The real fun begins when you land on one of Paul Gauguin's private utopias off the shores of Bora Bora or Taha'a. These idyliic motus are private-island paradises with warm turquoise waters and deserted white-sand beaches. Here, you can while away the time swimming, snorkeling, kayaking, having an overwater massage, even learning how to tie a pareo from Les Gauguines. The best part is when they bring out the refreshments—a sumptuous barbecue feast topped off by cocktails from the floating bar! Why spend another minute in the cold and snow? Let Hideaways Travel Services plan your Paul Gauguin cruise in balmy and exotic French Polynesia. Just email ts@hideaways.com, or call us at 800-843-4433.